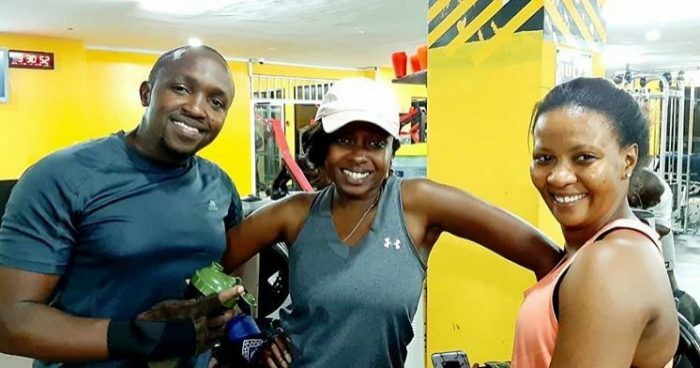 Thursday, January 31, 2019- Disgraced Citizen TV journalist, Jacque Maribe, is slowly getting her life back after a difficult last few months that saw her spend weeks in prison. The screen siren and her former lover, Jowie Irungu, are accused of murdering a business lady, Monica Kimani, in September 2018 in Kilimani Nairobi. She has since returned to work although she was barred from reading news on TV as part of her bail condition. She is now hitting the gym to keep fit and from the photo shared by her colleague Hassan Mugambi, she is all smiles.